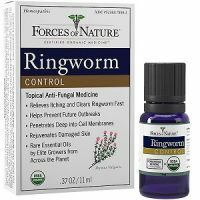 Forces of Nature Ringworm Control Review - Does It Work? Today we review a product called Ringworm Control. It is a tropical antifungal medicine that is supposed to relieve itching and clear ringworm fast as well as hinder any future breakouts. Your damaged skin should be rejuvenated after using the product. The product contains essential oils by Elite Growers. What’s in Forces of Nature Ringworm Control? 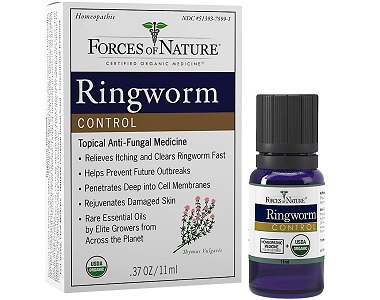 How Do You Use Forces of Nature Ringworm Control? Please consult your health professional prior to using the product. Wash the affected area with water and then make sure to dry it thoroughly. Apply a thin layer of the product over the affected area and rub it gently into the skin. This should be done 3 times a day. This product should not be used for diper rash and if you are pregnant, inform your health professional. You will find the product in an 11 ml and a 33 ml bottle. The 11 ml bottle is $14.95 and the 33 ml bottle is $34.85 from the manufacturer’s website. Shipping will be for free if you place an order over $39. The manufacturer has provided a guarantee with the product for a year. The company is prepared to refund your money if you feel that the product did not yield the result you were hoping for, however, the manufacturer has also stated that some restriction may apply. What those restrictions are is not stipulated, but it means that there is a possibility that you may not get your money back even if you are unsatisfied with the product. 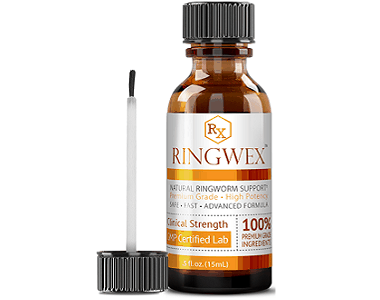 Ringworm Control was formulated as a topical antifungal medicine with its purpose being to relieve itching, rejuvenate damaged skin and prevent any future breakouts. You will have to apply the product 3 times a day. This is an inconvenience, especially when you are at work, you will have to wash the affected area and dry it before the application. The manufacturer has offered a guarantee with the product if you are not satisfied for a year, however, there is a clause that states some restrictions may apply. This means that even though the manufacturer offers a guarantee, you may not qualify, and we could not find any information about the specific restrictions that apply. The manufacturer has stated that there is a possibility that the product may not work even after 4 weeks of application. Some customers have complained that the product did not work for them.